If 2019 is the year you want to sell your home, then there are some things you should know before you do it. In fact, the more time you can spend getting organized and preparing your home before it hits the market, the better. After all, you only get a single chance to make a good first impression. Here’s what you need to know before you sell. Do you have pie-in-the-sky dreams about selling your home at a great price? While it’s great to daydream, you also need to ground your expectations in reality. While you may have a general idea of what the housing prices are in your area, it’s time to do some more research. Check to see how many homes are for sale. Look for homes that are comparable in size, number of bedrooms and bathrooms, and other amenities. You might even consider attending a couple of open houses. Educating yourself about local housing prices will help you as you decide on an appropriate asking price for your own home. Remember how much paperwork was involved when you bought your home? It’s time to get ready for that again. Sort through all the paperwork you have for your home. This includes documents related to the original sale as well as your mortgage, tax bills, utility bills, warranties, appliance manuals, and records of repairs. You will also want to make sure that any outstanding permits or building violations have been cleared. Finding and organizing all this paperwork before you begin the sales process will make everything run much more smoothly. 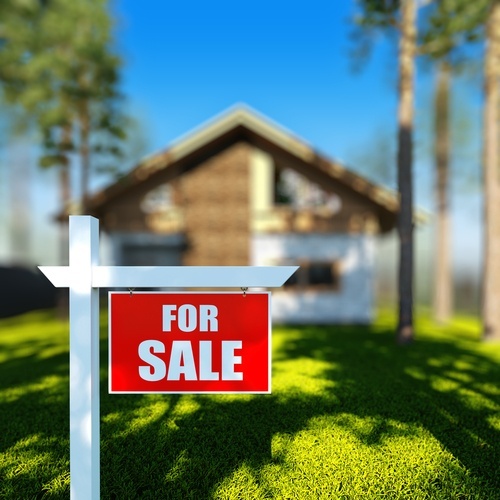 When you think about selling your home, you think about making money, right? Well, it’s important to remember that it also costs money to sell your home. While some of the fees are negotiable, you can expect to pay about 10 percent of your selling price in fees and commissions. These costs include the real estate agents’ commissions as well as closing costs like HOA fees, property taxes, transfer taxes, title insurance, escrow fees, and attorney fees. You may also be footing the bill for repairs, professional staging, and utilities while the home is on the market (even if you aren’t living there). Also remember that the proceeds of your home sale will first be used to pay off your existing mortgage, including any penalties for paying off the mortgage early. Finally, the best tool you can have in your arsenal when selling your home is a knowledgeable real estate agent. Take time to interview several agents in your area so you can get a feel for them. Don’t be afraid to ask questions and to research their backgrounds. It’s important to choose a real estate agent with whom you feel comfortable. You will feel less stress down the line when you know from the beginning that you’re in good hands. Selling a home can be a complex process, and it pays to prepare ahead of time. By knowing what to expect and getting organized, the process will be much less stressful for both you and the buyer.